First submitted Tuesday, 24 May 2016 at 22:06:34 by John B Keeler. 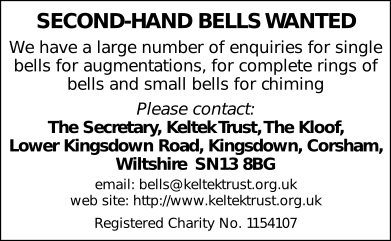 Sent for publication in The Ringing World on Wednesday, 25 May 2016 at 17:26:05, and printed in issue 5485, page 599. This performance has been viewed 595 times.